The Ancient Church Reading Room and Library hosts a series of talks on the subject of “What is Orthodox Christianity?” All are welcome! 10 May: Who is God? 17 May: What is the Eucharist? 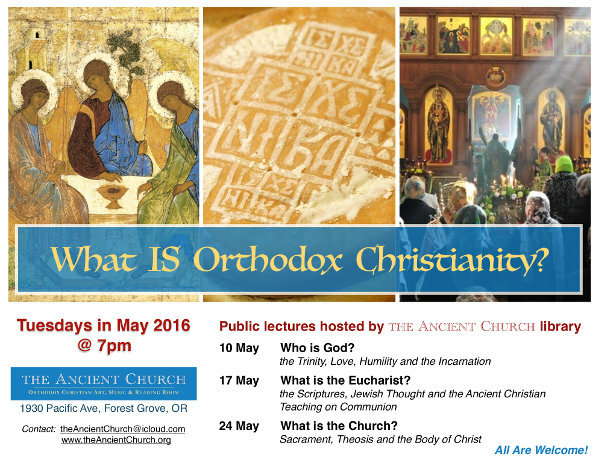 24 May: What is the Church? This entry was posted in classes, education and tagged Ancient Church Reading Room, classes, lectures. Bookmark the permalink.